Celebrate your passion for vintage eyewear with our unique selection of new old stock frames. Provinding the finest unworn vintage sunglasses to leading eyewear stores all over the world, we are now happy to be able to service individual customers with the same wholesale prices through this shop. We try to offer the best frames for the lowest possible prices in order to make them affordable to everyone. French Part of Sweden is all about passion for vintage glasses, all our products are new old stock, which means they are in pristine mint condition and have never been worn. Discovered in years of treasure-hunting all over the world, each piece is one of a kind and has its own story. You can currently find a selection of our products at Selima Optique New York City, Solakzade Tokyo and Time Frame San Francisco. the 1980s where crucial in the evolution of eyewear. The glam period carried by the likes of Elvis Presley and Elton John was overthrown by new influences like Punk and Hip Hop culture. Exponents of these subversive youth cultures started to appropriate styles of glasses which had been designed for a totally different public. 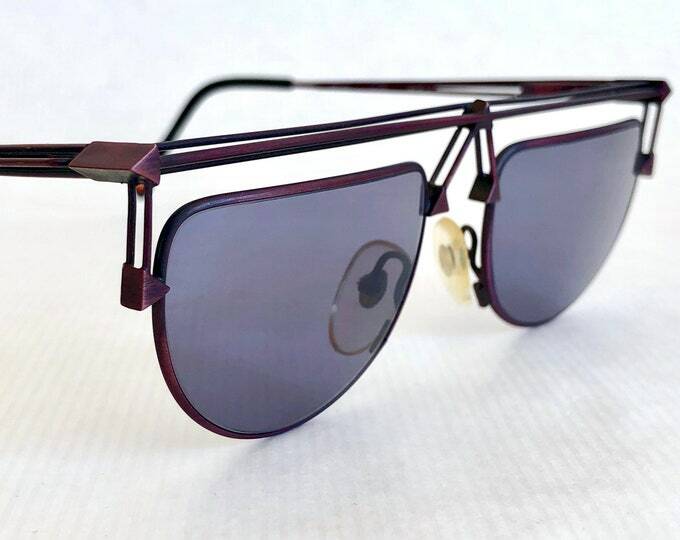 Posh European eyewear made their way to American inner cities, where brands like Cazal and Dior became a part of the fashion identity of early Hip Hop culture. Today, regardless of brands reissuing or copying popular designs of the time, original vintage frames enjoy a further increasing demand, and every year, more people fall in love with the incredible quality and design of the originals.